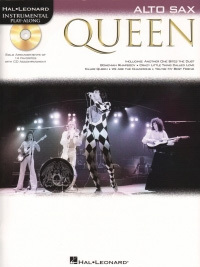 Queen Instrumental Play Along Alto Saxophone Book and CD. 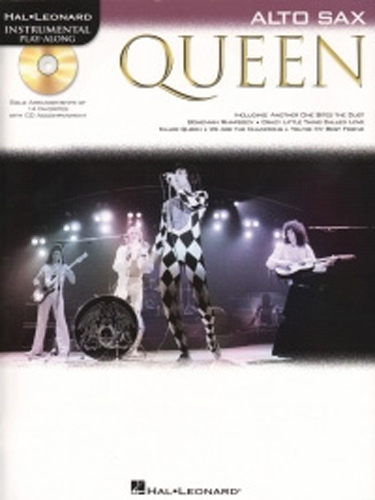 Contains solo instrumental arrangements with CD accompaniment for 14 songs from the seminal Queen. Songs include, Another One Bites the Dust, Bicycle Race, Bohemian Rhapsody, Crazy Little Thing Called Love, Dont Stop Me Now, I Want it All, Killer Queen, Play the Game, Save Me, Somebody to Love, Under Pressure, We Will Rock You, We Are the Champions, and Youre my Best Friend.